Channel your inner Riot Grrl in Demonia's Emily 350 Floral Platform Boots. These alternative mid-calf boots have a vegan leather upper and lace up front. 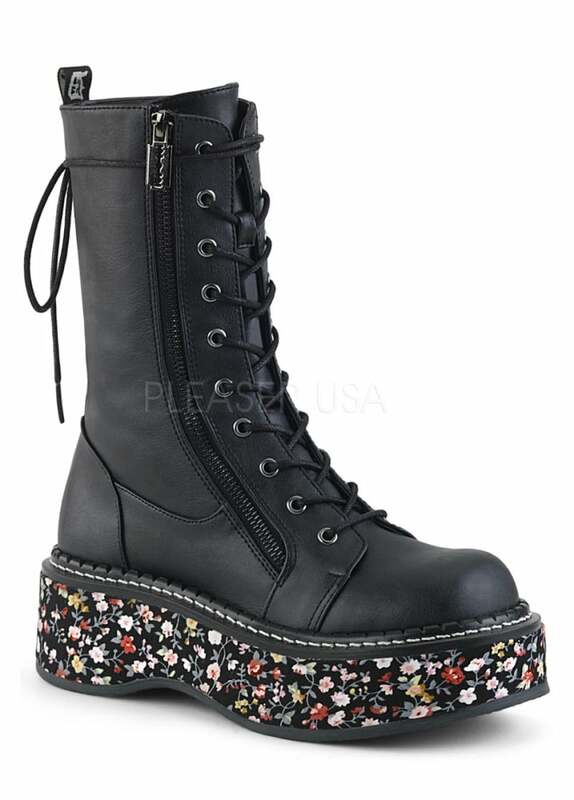 The gothic boots have an outer zip with razor blade zip pull and the platform sole is wrapped in floral fabric.